Any company offering a service or product either online or in person will usually accept the various credit card and debit card payment forms. American Express, Discover, MasterCard, and Visa are all popular payment methods, but new companies may not know enough about accepting credit and debit card transactions. These popular payment solutions make it easy for people to submit payments over the phone, in person, or over the internet with minimal risk if a website uses security systems to ensure credit card information cannot be stolen by hackers. It pays for companies to spend some time investigating the different methods of payments for today's business world and use the introduction to create a solid game plan for accepting payments from customers and/or clients. At first glance, setting up a physical storefront or an internet website can be taxing for the average business owner, especially for first-timers. Perhaps you have never looked into payment options that you will accept or you have the basic information but need something more in depth. With an online store or service, you will not deal with card swipes that require a customer to sign a credit card slip. This credit card process is reserved for stores, restaurants, and other companies where a client or customer walks in to make a payment. Online stores will handle credit card processing using the customer's credit card information and the three-digit security code online. There are other items that online stores and physical store locations must consider. Foreign international transaction processing are going to come with additional fees and higher interest rates. High-risk companies (higher priced items, adult-only items, internet dating sites) also face higher fees for credit card transactions. Companies who have had a number of charge-backs/credit card reversals may be extended credit card fees than other businesses that are less risky. Before setting up any credit card checkout, it is important to look into the different fees charged by banks. With the advent of the internet and the dependence on credit cards, many shoppers are learning to leave their credit cards behind and rely on merchants who use electronic check processing. 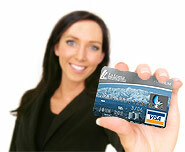 This way, customers or clients can use their checking account and ignore high-interest credit card accounts. ACH (Electronic Check Processing) is a must for any online business. The fees involved in ACH are usually minimal, though bounced check fees will apply just as they would if you accepted a personal check. This is a general introduction into the different payment methods that you can accept, but ultimately you must make the choice that best fits your business. If you know the fees may be too excessive using foreign credit card transactions, you should look for suitable alternatives. As time progresses, you can always adapt your methods and create new payment formats without stretching your starting investment too thin. Use the link above to get started. A representative will follow up with you by telephone or email to get you quickly setup for processing.